My youngest loves meatball sub sandwiches at the local Subway. It is the only thing she will eat there. 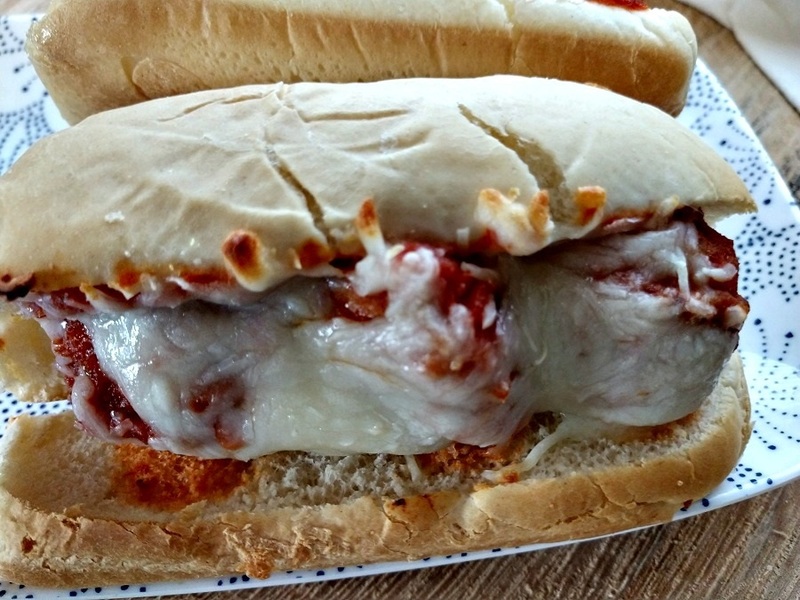 This is my homemade version of the meatball sub sandwich. 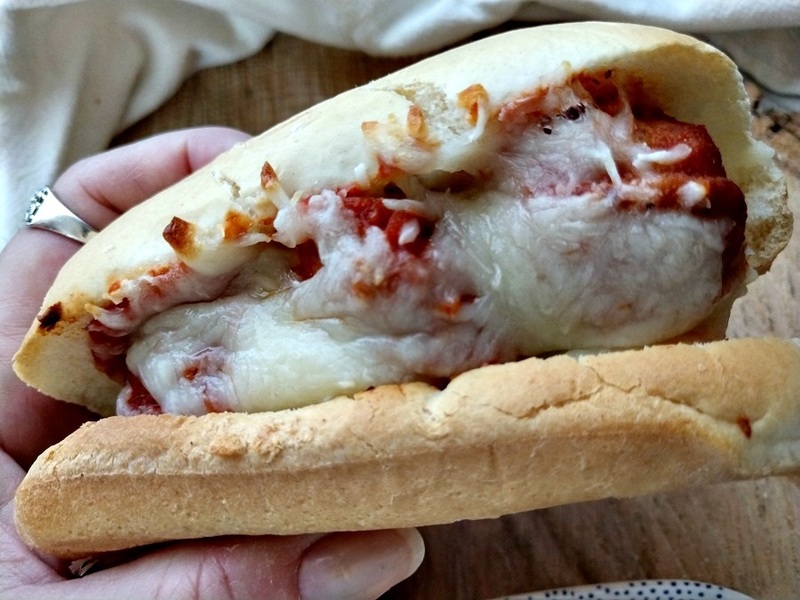 Slow cook the meatballs and sauce in a crock-pot and then ladle the meatballs and a little sauce into a hoagie roll. Top with some cheese and toss in the oven on broil to melt the cheese and you have lunch (or dinner). You can use your own homemade meatballs or use frozen meatballs. 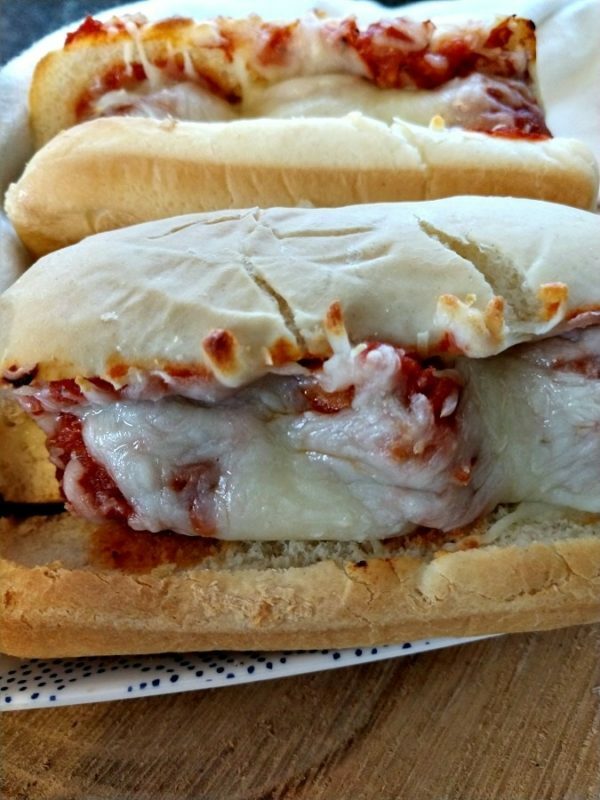 Tasty and delicious meatballs cooked in red sauce perfect for a meatball sub sandwich. Something the whole family will love. Add the first 6 ingredients to a 5 qt or 6 qt slow cooker. Spoon 3-4 meatballs into each sandwich rolls with some sauce. Top with shredded mozzarella cheese. Line each filled sandwich roll on a baking sheet. Broil for 2-3 minutes or until the cheese has melted and bubbly.